FBI agents descended upon a packed JetBlue flight in New York after a radio error signaled that the plane may have been hijacked, authorities said. Authorities at John F. Kennedy International in Queens, New York, activated the airport's hijacking protocols at around 8 p.m. Tuesday, just before takeoff, when the aircraft lost radio contact, and triggered a massive police response. Flight crew members re-established the connection about 15 minutes later and indicated that it was a false alarm, but the breach proceedings couldn't be recalled at that point, Port Authority officials said. "There was a false alarm sent to tower as a result of a radio communications failure. Aircraft was inspected and cleared with no security threat," Port Authority said in a statement. The incident was treated as a possible hijacking situation until authorities could confirm otherwise, leaving nearly 160 passengers in a complete panic. 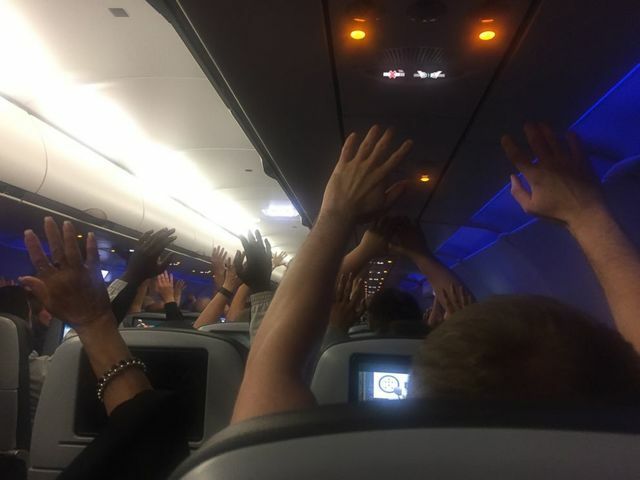 Terrified passengers were seen with their hands up in the air as heavily armed FBI and Port Authority officers inspected the Los Angeles-bound flight, according to social media video. "Woah. My worst nightmare," one passenger wrote in a tweet. "I honestly thought we were going to die. I AM ALIVE THANK GOSH I MEDITATE." Another passenger described the incident at "traumatizing." The travelers were ordered to keep their hands up until authorities could deem the flight safe. JetBlue confirmed the incident in a statement late Tuesday, saying the protocols were carried out due to "an abundance of caution." "While communication was reestablished via alternate channels, authorities responded in an abundance of caution," the airline said. "The aircraft was cleared and returned to the gate for inspection." There was no word on what may have caused the error. The Federal Aviation Administration is investigating the incident. ABC News' Joshua Hoyos and Louise Simpson contributed to this report.